Although some personal accident insurance is included in membership of British Gymnastics, the pay out for permanent total disablement (£50k) is not enough to deal with the financial consequences of a gymnastics accident which leads to a life-changing condition, such as paraplegia. Meanwhile, most children's sports personal accident insurance policies cap pay outs for serious injuries at £20k. 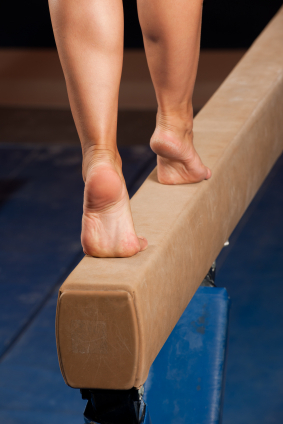 Clearly, having insurance doesn't lessen the risks of gymnastics, but we feel it's important for parents to have the option of additional financial protection. We've started this group to get parents a better deal from the insurance industry on this cover. The more parents who join the group, the larger our negotiating power becomes - if there is enough interest we will negotiate with insurers to create a policy that provides sufficient cover for children in the sport. What insurance is provided as part of membership of British Gymnastics? The British Amateur Gymnastics Association (BAGA) does provide personal injury insurance as a benefit of membership, through ACE insurance. However, the insurance payout in the event of permanent total disablement is only £50,000. The British Gymnastics insurance is valid in gymnastics which is a "recognised activity" of the British Gymnastics Association. Don’t schools insure children against gymnastics injuries? Whether catastrophic injuries sustained during gymnastics would be covered under the policy? If the policy pay out would be sufficient to cover the ongoing costs of managing paraplegia or quadriplegia? If the policy covers injuries sustained in training, as well as in competition? If you don’t have a copy of the terms and conditions of the policy yourself, try contacting the Bursary or Finance team at your child’s school. What are the risks of gymnastics? ipping and twisting dismounts, and slips from uneven bars and the horizontal bar created the greatest risk to gymnasts. Between 1985 and 1997, there were 6 instances of gymnasts suffering acute spinal injury. However, Kruse and Lemmen also pointed out that improvements in safety equipment have helped mitigate these risks - and of course the vast majority of gymnasts enjoy the sport without ever suffering serious injuries.